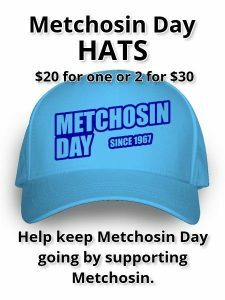 Here is information you should have available at 2018 Metchosin Day. For Vendors/Exhibits & Displays setting up – **Reminder – Set up is 8 am on Sunday, September 9th, 2018 for opening at 10 am. Large or complex displays may be set up the day before. There is security Saturday night. Most vendors/displays close up by 4 pm. The dinner is served at 5 pm and the music and beer garden continue till 6:30pm. ** All vehicles must be removed from the Village Green before 10 am. Parking is available in the Public Parking field adjacent to the Village Green Vendor area. First Aid stations are located around the Village Green area. Look for the Red Cross or check at the Ticket/Info Booth. Ticket/Info booth is located just out from the stage. Information on the day’s activities can be found here. Any lost or found items can be turned into the Ticket/Info booth. After Metchosin Day these items are left at the municipal office to be claimed. 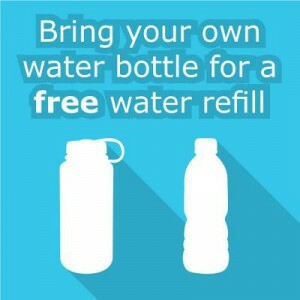 Any announcements regarding lost items can be left at the Ticket/Info booth for announcement over the PA system. Toilets and hand-washing stations are located in front of the Municipal building, Pioneer Museum/Old Barn Books and behind the Main Stage and Beer Tent. There are lots of contests taking place throughout the day in Village Centre. Please check the schedule and program for times. The baking – pies and cakes contest and vegetable/produce contest are located in the municipal building. The photography contest is at the Metchosin Community House along with the Cobbler Cafe, where coffee/tea and cobbler is being served. Pet Show and Children’s Games are just a few of the activities taking place on the Village Green. Hay Rides and Sheep Shearing are located at the far end by the tall trees. The Digger is located in front of the Municipal Office near the fire hall. Dinner tickets for the salmon and lamb BBQ are for sale for $20 at the Ticket/Info booth. The traditional dinner includes both salmon and lamb plus bun and butter, coleslaw, corn on the cob, mint sauce and watermelon. There are only 400 tickets that sell out quickly, so get yours right away! The Beer garden is beside the main stage pavilion. Drinks are $5.00 and include beer, wine and cider. The ATM machine is located at the Community House. No cars are allowed within M-Day Village unless with prior permission. All vehicles to be removed to the parking areas by 10am. No parking on Happy Valley Road or Rocky Point Rd. Share the post "Information for Vendors, Displays and Volunteers"
There is space for hundreds of cars right next to the village green.